Did you realize that over a two billion people in the world now speak English? According to a recent report "...three billion people will be speaking or learning English within a decade." English is the language of globalization. It's the language of international business and politics. It is the primary language used for most computers and for the inner workings of the Internet. 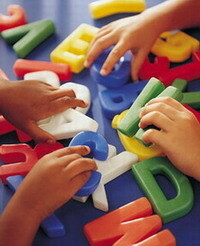 English is the dominant international language in communications, science, aviation, entertainment, radio and diplomacy. English is an important tool for operating on the world stage. The ability to speak and understand English is mandatory in certain fields, professions, and occupations. In fact, English is so widely spoken, it is referred to as, the "lingua franca" of the modern era. 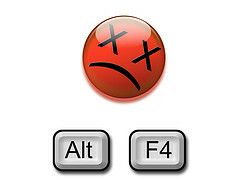 What does Alt + F4 do? Keystrokes in Windows: Does Alt + F4 close an office's application and other ones in the same way? This is one of those jokes people play on each other -- it's in the same category with squirting(1) flowers and exploding cigars. This joke works on machines running the Windows operating system because Windows happens to define certain keystrokes(2) that work the same way in all applications. Just about everyone knows that Alt+Ctrl+Del interrupts the operating system, but most people don't know that Alt+F4 closes the current window. So if you had pressed Alt+F4 while playing a game, the game window would have closed. If you speak English, you have plenty of people to talk to. People use the English language to communicate in the United States, Canada, the United Kingdom, Australia, New Zealand, South Africa, and other countries. It is spoken in more parts of the world than any other language. English is one of the great thieves. It is constantly borrowing. It started out taking words from Latin, Greek, French, and German. Then English went on to borrow words from more than 50 different languages. E-Book, fiction or nonfiction text that is distributed and read in digital form, usually on a computer or handheld display device. Because they can be cheaply distributed worldwide over the Internet and do not require shelf space, e-books have the potential to someday replace the printed book. Devices that store and display electronic texts are sometimes referred to generically as e-books. E-book texts are downloaded to a computer or a reading device through a modem or other Internet connection. Some devices cannot download texts and must be connected to another computer in order to transfer the book to its memory.